Current statistics show that someone is the UK is diagnosed with bowel cancer every 15 minutes, making it the third most common cancer in this country. 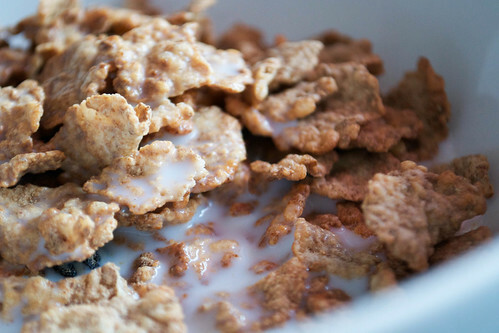 But it's been suggested that if we increase our fibre intake, we could dramatically reduce our risk. The people at Sharpham Park recently partnered with Bowel Cancer UK to create a cookbook with spelt recipes - Gizzi Erskine, Rachel Green and Yotam Ottolenghi are among those who contributed. And now they've brought out a new cereal, which is high in fibre and low in sugar and salt. The thing is, quite often, you expect these high-fibre cereals to taste of cardboard, but this one really doesn't. It's dark and has a rich flavour - kind of nutty - and the sweetness comes from raisins, apple and apricot pieces. I liked it. And even better, it's been shown that spelt is often easier for people to digest than wheat, although it's important to note that it does contain gluten. 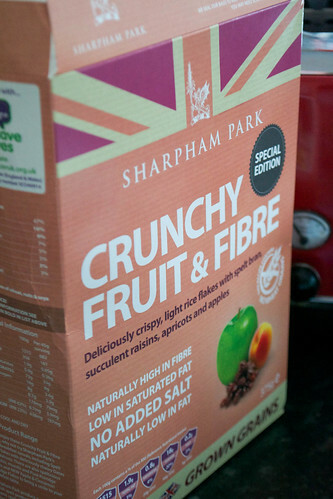 There are two varieties of the cereal - Morning Mult-Flakes and Crunchy Fruit and Fibre (which is the one I tried). Have a look at the Sharpham Park website for more information.